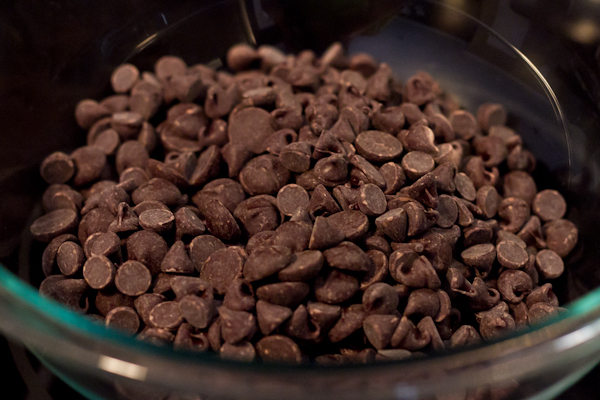 Pour the 14 ounces of dark chocolate in a large bowl. In a small sauce pan, slowly bring the heavy cream to a boil. 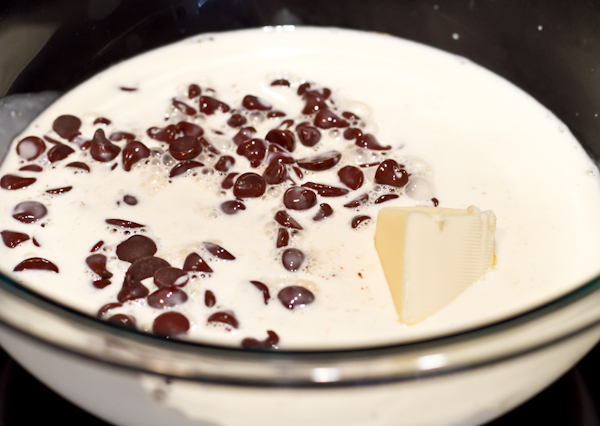 Pour the heavy cream over the chocolate chips and butter and stir until the it is melted. Set the bowl in the refrigerator for about an two hours or until hard enough to roll into balls. 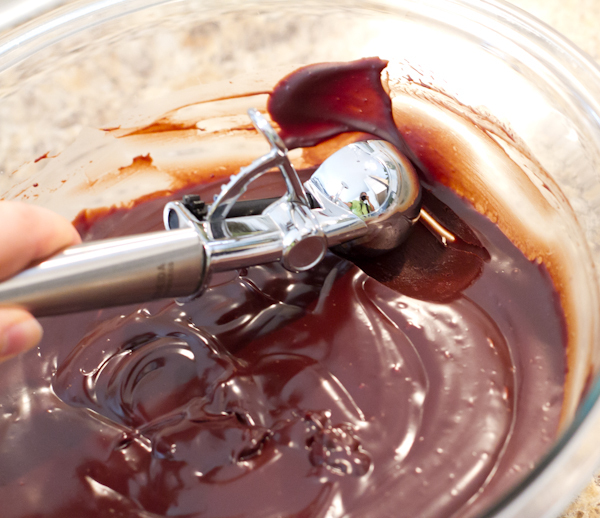 Once set, use a spoon or a tablespoon size scoop to form balls. 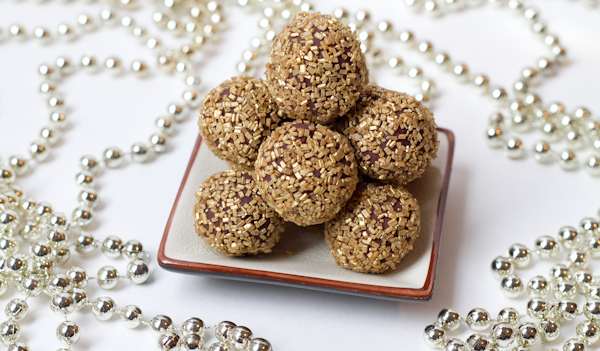 Place the balls on parchment paper and let them chill in the fridge for about an hour. At this point I thought I could make fancy-dancy truffles and coat them with melted chocolate. This is how they came out: So, instead of coating them with chocolate, this is what you do. 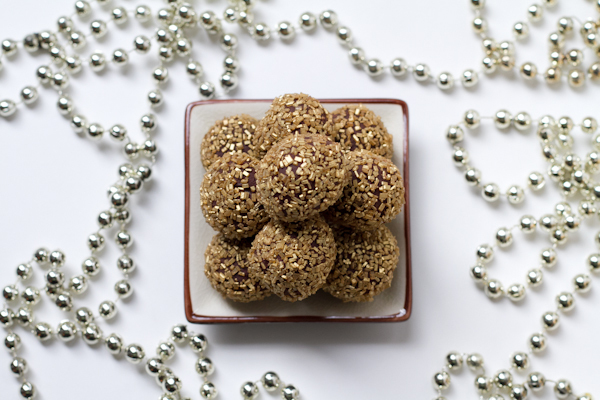 With the palms of your hand, roll the balls into more perfect little balls. 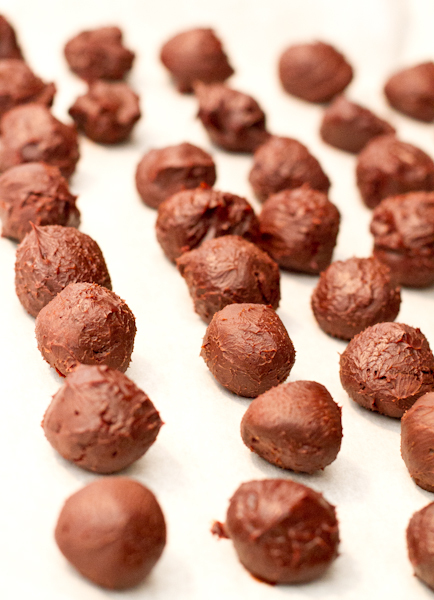 Next, coat the balls with your favorite sprinkles, cocoa powder or nuts! 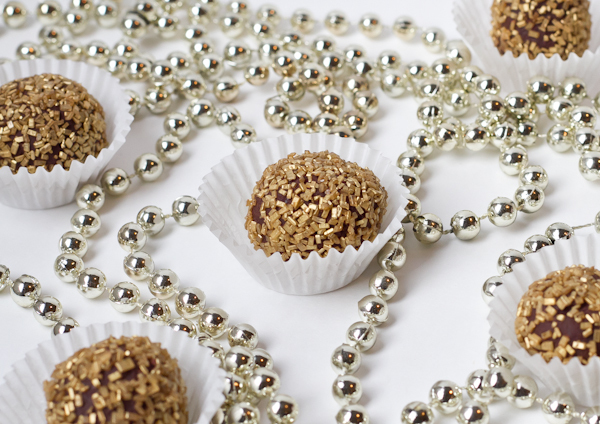 Truffles are such a good gift. Glad these came out so well! They look perfect with the sparkle coating. Wow super easy and so pretty! Happy holidays to you! What a perfect decadent taste explosion homemade festive season gift. 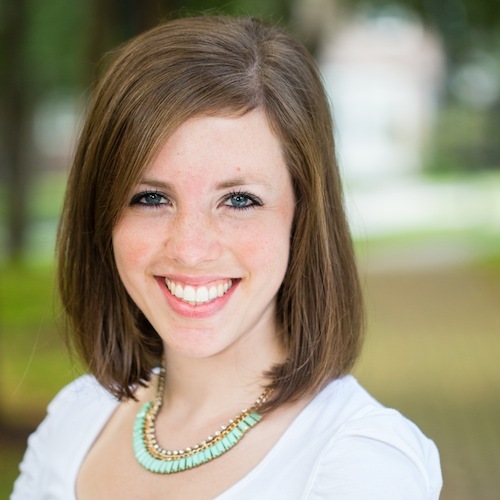 Thank you Mandy! 🙂 Just wait for the rest of the truffles! These look great! 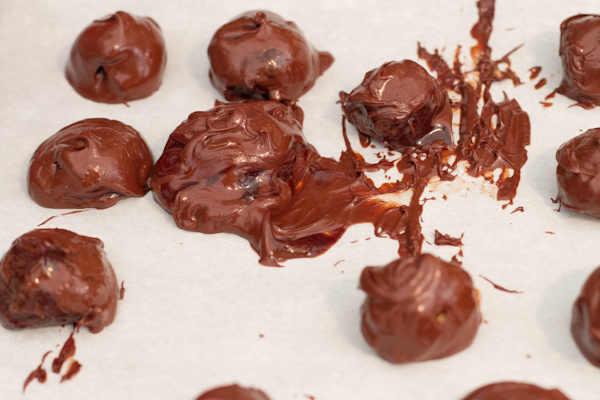 If you ever what to dip them in chocolate and not have them end up as puddles stick the rolled balls in the freezer for 30-45 min then dip them while frozen, that way the truffle doesn’t melt! 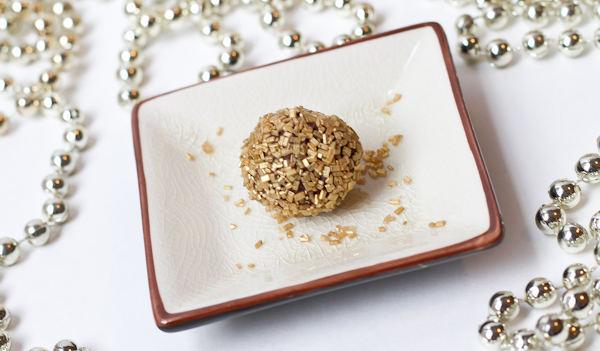 I give these and other homemade candies for Christmas each year and people LOVE them! 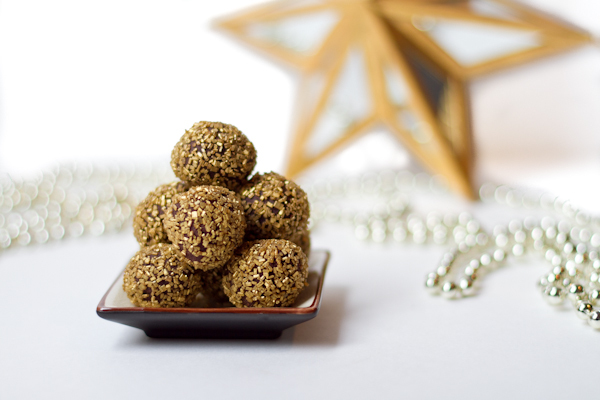 I just made these with the exACT gold sprinkles, nuts and cocoa powder, all before reading your post! Great minds think alike! Looks delicious! 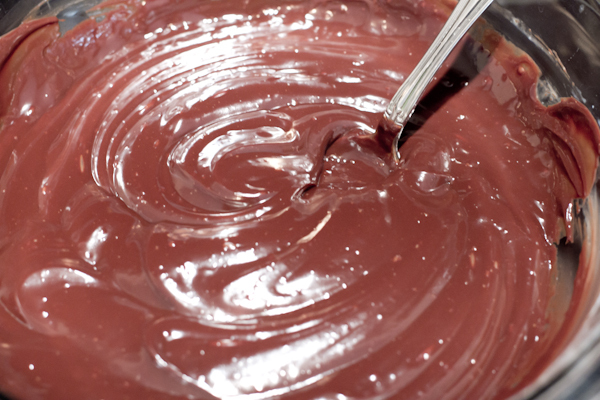 I’ll be trying this recipe soon with a 100% cacao chocolate I got… with added sugar, of course. I hope it turns out right! Sara, I bet they will taste amazing! Yum! If you don’t mind me asking, where did you find 100%? Thank you Marla! 😀 You’re the best!